We offer a large selection of eyeglasses, contact lenses and designer frames and sunglasses. 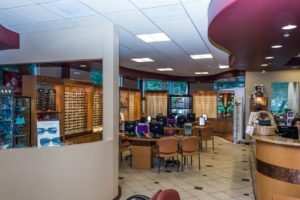 We carry the latest European and American designer eyewear collections, such as Fendi, Gucci, Christian Dior, Oga, Koali, Lafont, and much more in a variety of styles, colors and materials including titanium, stainless steel and plastic. Computer glasses are specially designed to help with your visual needs when you are in front of a computer or smartphone. See Color For the First Time!